John O'Grady was born in 1942 to parents Ned and Maureen O'Grady. He attended Aglish National School. His first employment was with the ESB before he travelled to Newport in Wales and Nottingham where he took up employment. On returning to Ireland, he worked at different jobs in the locality but eventually took up a position with John A Woods at Whitechurch, Cappagh in 1964. He married Helen Mernin from Villierstown in 1965. Over the years John had many social interests, especially fishing, shooting and card playing but he is best known for his many exploits on the GAA field playing with the Geraldines. He began by playing Minor Hurling and Football with near neighbours Ballinameela. He played with the Geraldines for over 30 years, his first game was in 1958 playing Senior Hurling against Tourin. John won four County Championship and six Western medals with his club and one Western Championship medal with nearby club Villierstown, (his wife's Helen home club). He captained his Junior and Intermediate Hurling teams to two County Championships wins in 1967 and 1976 against the Mollerans and Portlaw, respectively. He also played on two losing Senior Football teams for his club in the County Finals of 1962 and 1969 against Kill and Tramore. On the Inter County front, John captained the Waterford Intermediate Hurling team in 1967 which was defeated by Clare, and played Senior Football Tournament with his county against Tipperary in Dungarvan. On one particular day he had the honour of playing with his two sons, Paul and Brendan, his brother Eddie and hid nephew Harold. He is affectionately known to all as "the Keeper" or perhaps as "O'Grada" a name conferred on him by Father Pat Fitzgerald P.P. 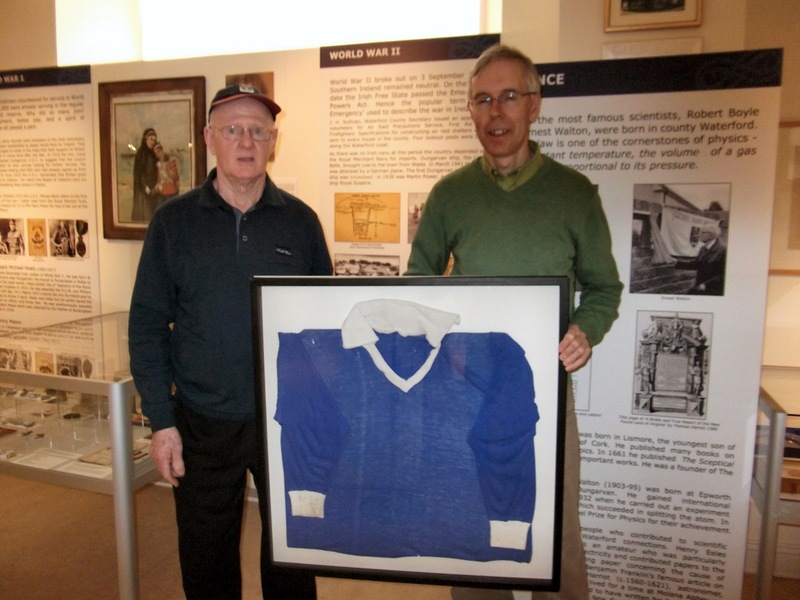 The Museum is very grateful to John for donating his Goal Keepers Jersey which he wore with pride from 1963 to 1991.